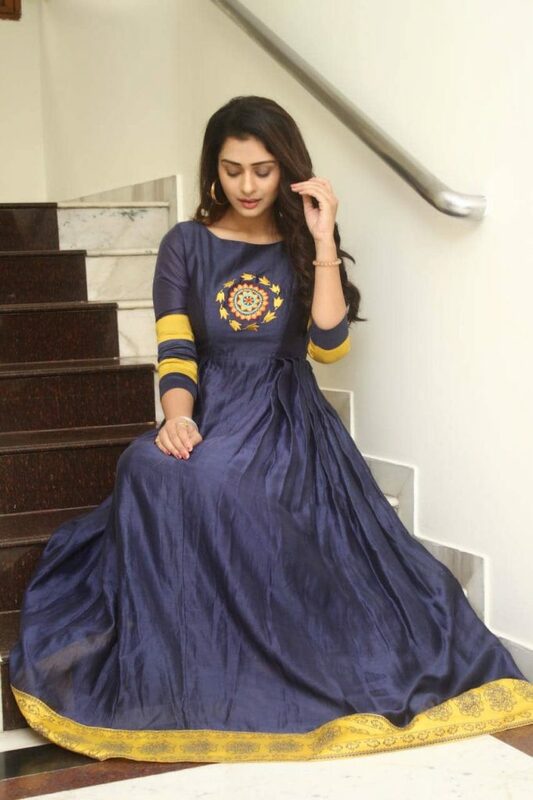 Payal Rajput is a beautiful diva from the North who made her spectacular mark in the Telugu film industry. Just like you, when it comes to finding the perfect dress that has a combination of elegance and comfort, even the famous RX-100 actress turns to TheHLabel! Much popular for grace and style, Payal flaunts a splendid look in a Mustard Yellow & Deep Blue Embroidered Anarkali. What’s special about this dress? 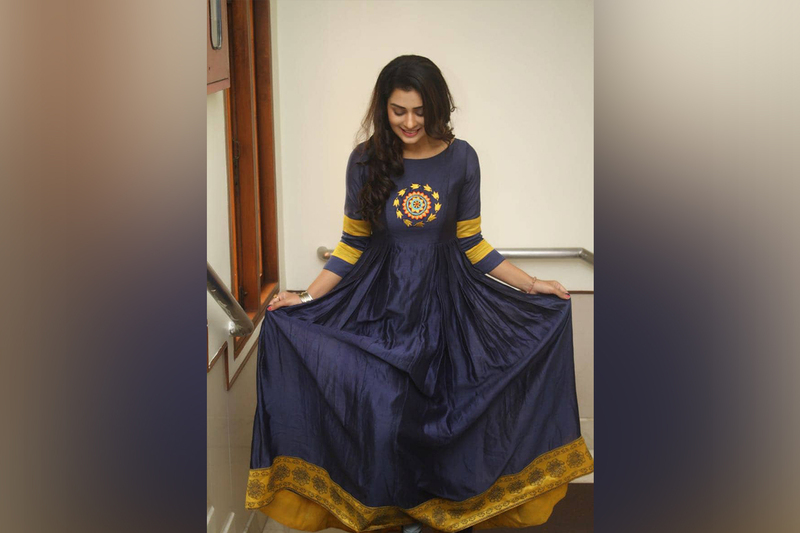 The dress donned by Payal Rajput from theHlabel is a perfect blend of embroidery and screen print. A traditional floral design embroidered in different patterns with bright colour threads is the main attraction of this dress. 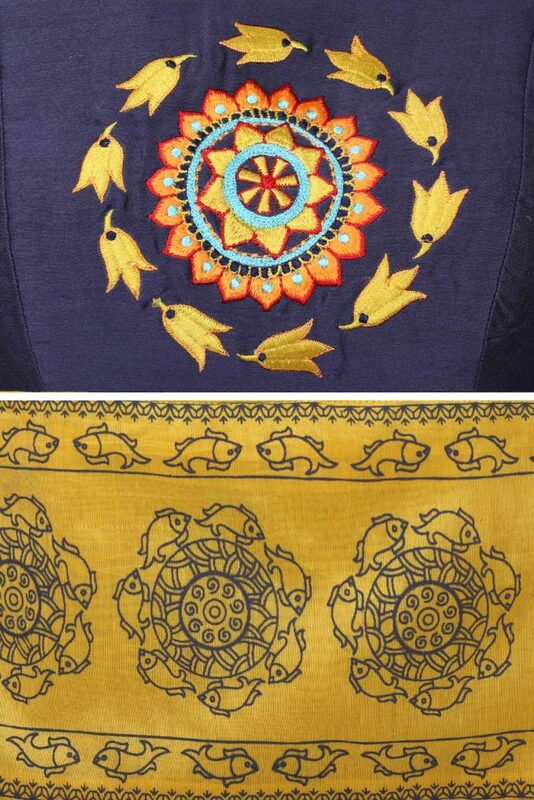 The screen print with a fish motif design is just enough to elevate the appeal of the flare. The bright combination of colours like mustard yellow and deep blue are worth the praise. In a nutshell, the designers at theHlabel have created this dress keeping in mind both the beauty of tradition and the fashion of the modern day. As this dress is created from the finest fabrics – kora chanderi and muslin cloth, this dress is more comfortable than many other dresses. Be it for traditional ceremonies or for festive nights, this dress will keep your coziness undisturbed! Which accessories complement the outfit perfectly? Just like Payal, you too can accessorise this dress with big hoop earrings. Or, as the dress has beautiful scattered embroidery on its back and a motif design on the front, you can add more elegance to the look by accessorising it with a handmade neckpiece and bangles. Love the look? Then what are you waiting for! Shop this celeb-loved outfit right away from the newest collections of www.thehlabel.com !